“Gazprom Neft” will focus on development of extractive fields in Yamal-Nenets Autonomous Okrug. In the future on the peninsula the company is planning extraction of 50% of the total amount of hydrocarbons. 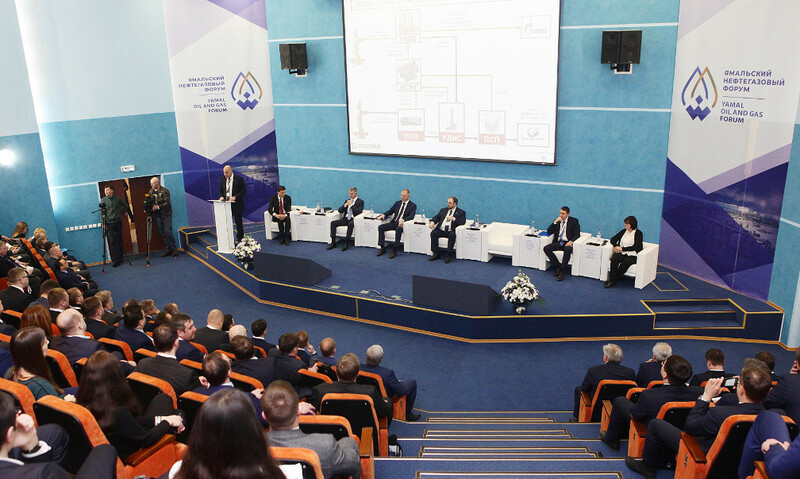 The head of the directorate for large projects of “Gazprom Neft”, the director general of “Gazpromneft-Razvitie” Denis Sugaipov told about it at the Yamal oil and gas forum. At the forum in Noviy Urengoy representatives of the company told about plans to expand activities in the region. First of all, the talk is about development of the Nadym-Pur-Taz cluster, where it is planned to develop oil rims of Tazovskoye, Yen-Yakhinskoye, Pestsovoye fields, as well as Achimov deposits of the North-Samburg. The company reached an agreement with the government of the Autonomous Okrug on creation of the technological test site for development of Achimov deposits on the basis of Yamburg field. According to expert estimates, the recoverable reserves of Achimov deposits range from 0.5 to 1 milliard tonnes of liquid hydrocarbons. To involve these reserves in development it is necessary to overcome a row of technological challenges that will be solved within activity of the technological test site. A special place in the company’s portfolio will be taken by the project “Gas of Yamal” associated with involvement in development of new oil and gas condensate fields in the southern part of the peninsula. The project foresees growth of infrastructure of Novoportovskoye field that will allow extracting and qualitatively processing gas and gas condensate, as well as increasing oil extraction. Maintenance of associated gas utilization at the level of 95% will become the priority task of projects of “Gazprom Neft” in Yamal in 2019, as the representative of the company says. “We are building our strategy based on the fact that Yamal is the most important region for us. We are interested in development of partner relations with the region, district administrations and local residents”, said Denis Sugaipov. He underlines that the key ecological programs of the company will be continued. 25 million fingerlings of commercially important fish will be released into rivers of the Ob-Irtysh basin in the next two years under the agreements of “Gazpromneft-Yamal” and “Gazpromneft-Razvitie” with Sobsky fish-farming plant. Since 2017 water objects of Yamal have been replenished with 19 million fingerlings with support of the company’s subsidiaries. Together with the administration of Yamalskiy district “Gazprom Neft” is fulfilling the program for disposal of “the historical heritage” (waste) on the coast of the Gulf of Ob. 40 hectares of territories near the villages Novy Port and Mys Kamenniy have been cleared since 2017. Volunteers from among local residents and employees of enterprises of “Gazprom Neft” are involved in ecological activities.